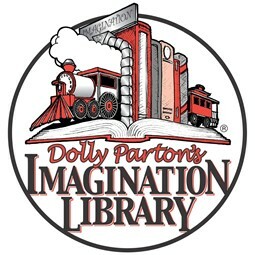 What is the Dolly Party Imagination Library? Dolly Parton’s Imagination Library is a program that offers any child in Licking County a free book via U.S. Postal Service every month from birth through their 5th birthday. Who sponsors the Dolly Parton Imagination Library? There are several area sponsors. The Friends of the Granville Public Library have made it possible for children in the Granville Exempted Village School District to participate. Can anyone in Licking County register, even if they’re not a Licking County Library card holder? Yes. All public libraries in Licking County are participating: Alexandria, Granville, Homer Licking County Library and Pataskala. You can register online or at the Granville Public Library. Online registration is found here or you can print off this PDFand bring it in with you. What ages are permitted to register? Children receive books from birth to 5-years-old. However, due processing time, we ask that the age cutoff for registration is 4 years, 8 months. Can books be sent to PO Boxes? Can a grandparent, legal guardian, etc. register a child, or must it be their parent? Yes, grandparents, aunts, uncles, caregivers, etc. may register a child. They may also have the books sent to their address rather than the child’s address if requested. How long will it take for my child to receive their first book? It may take up to 6 to 9 weeks for the delivery of your child’s first book. Is there a program like this for older kids? No, there is no equivalent program for older children. Who do I contact for questions regarding this program? Please contact the Granville Public Library's Children's Department at 740-587-0196.